Sailors assigned to the U.S. Naval Academy and Explosive Ordnance Disposal (EOD) Mobile Unit 12 dove with more than 1,000 fish in the Western Atlantic tank exhibit at the National Aquarium in Baltimore to show off Navy diving assets as part of Maryland Fleet Week and Air Show Baltimore (MDFWASB), October 4. 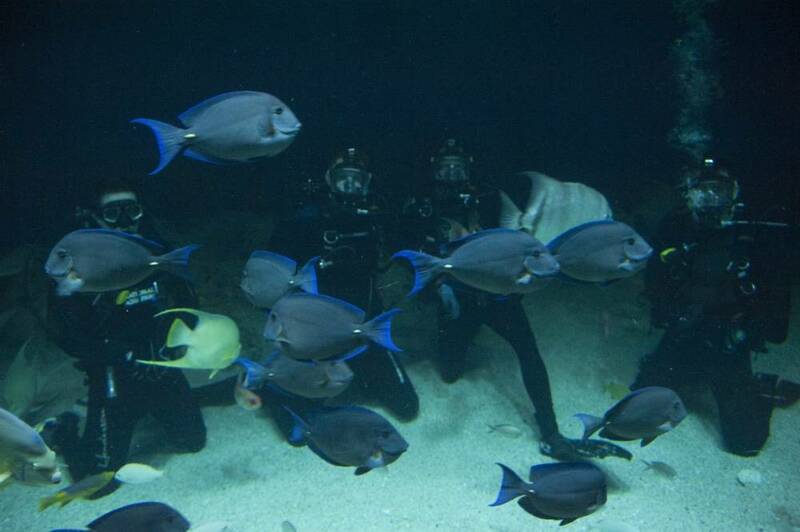 This display of fins and bubbles attracted more than 200 visiting students. 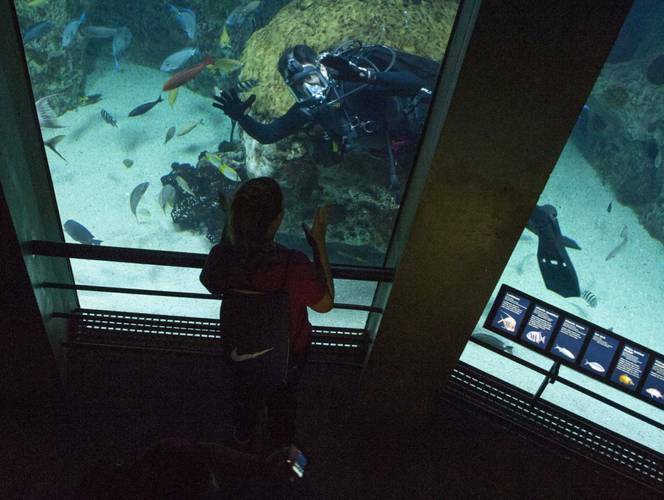 While leaning on the walls of the 330,000-gallon aquarium, children watched and interacted with the divers using hand signs and also posed for pictures with the Sailors. The aquarium’s staff works to incorporate divers into their exhibits multiple times a month. They said they were impressed by the expertise displayed by the Sailors and were pleased by the crowd’s response to the service members. Throughout Maryland Fleet Week and Air Show Baltimore, October 3-9, U.S., Canadian and British navy vessels will be available for embarking visitors in the Inner Harbor, Fells Point and Locust Point. Service members will be participating in an array of other activities, including visiting local schools, conducting ship tours, attending receptions and sporting events, participating in community service projects and experiencing Baltimore. MDFWASB is Baltimore’s celebration of the sea services and provides an opportunity for the citizens of Maryland and the city of Baltimore to meet Sailors, Marines and Coast Guardsmen, as well as see firsthand the latest capabilities of today’s maritime services.